Nancy I. Delgado Serrano, A.A.
Millie Echevearria-Thaw, R. D. H.
Diana L. Vazquez-Copil, BA, R. D. H.
Dr. Mirkeya Capellán, Ph D.
Sarah Delany, A. A. S.
Click name to see bio. After earning an associate degree in bilingual bicultural education from Hostos Community College in 1997, Lourdes Allende applied for the Bilingual Pupil Services internship at the NYS Department of Education. Before she was selected to participate in the program as a teacher intern in 1999, she worked as a daycare assistant teacher for two years. As a teacher intern, she worked with both first and fourth grade classes while also completing a bachelor's degree program in science from Mercy College. In 2002, she graduated from Mercy College and became a third grade special education teacher. During this period, she led the Assemblies of God Women's Ministry and the "Mother's Interested in Education and Professional Women." She worked in these two ministries for several years, helping families in communities throughout the Bronx. Mrs. Allende is an ordained minister and a pastor's wife. In 2004, she returned to school, earning a master's degree in education from Lehman College in 2007. She works as a teacher and is currently researching doctoral degree programs in education and urban studies. She hoped to have her doctorate by 2014. Iris James Aponte is a New York State licensed massage therapist dedicated to providing quality therapeutic massage techniques and educating people about wellness practices. Ms. James Aponte earned an associate degree in massage therapy from the NY College of Health Professionals. Her massage techniques include Swedish, deep tissue, Asian body work, hot stone, prenatal, chair, and Reiki. She is a member of Associated Bodywork & Massage Professionals and currently works for Massage Envy. 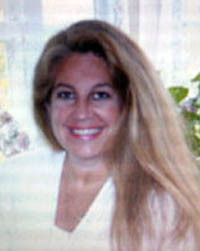 Her approach to massage therapy incorporates Chinese and European techniques to enhance the healing process. 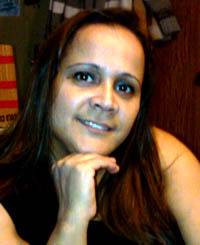 Ms. James Aponte is a holistic practitioner who treats her clients from intuition and the heart. Margot Arthurs was born in Belize, Central America. After being out of school for 25 years, she enrolled at Hostos Community College in 1999. At Hostos, she twice received an honorable mention for writing “Women into History” and was inducted into the Dean’s List in 2001-2002. Ms. Arthurs was recognized as an outstanding student in the “Who’s Who” publication of students in American Junior Colleges. In 2003, Ms. Arthurs received an A.A.S. in gerontology, graduating as a certified nurses’ aide. 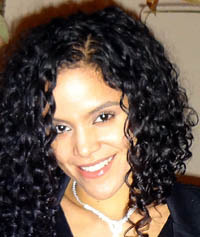 She went on to Lehman College and received a Bachelor of Science in Social Work in 2006. She continued her studies at Lehman in the Advance Standing Social Work program and earned an M.S.W. in 2007 in that program’s first graduating class. Ms. Arthurs’ academic achievements earned her a listing in the National Dean’s List directory. In 2007, she was nominated to participate in the International Scholar Laureate Program, which provides students with culturally-immersive experiences in places such as to Australia, China, Europe and South Africa. Chief Arnaldo Bernabe serves as the Director of Public Safety at Hostos Community College, City University of New York (CUNY). He has 30 years of combined experience in the area of protection and policing service. In his 20 years with the City University of New York Public Safety Department, he has earned several meritorious awards for his work in crime prevention and community policing. Chief Bernabe began his career in University policing in 1992. 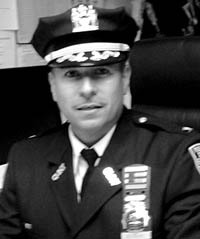 Since then, he has served in the following positions: Sergeant from 1992-1996 at Hostos Community College; Lieutenant/Assistant Director of Public Safety 1996–1997 at the Borough of Manhattan Community College; Assistant Director of Public Safety/Lieutenant 1997–1998 at Hostos Community College; and Director of Public Safety at Hostos Community College, 1998 to present. Chief Bernabe previously served as a member of the Division of School Safety Mobile Task Force Unit created under Mayor Dinkins’ program “Safe Streets, Safe City.” The Unit provided New York City school children with safe passage to and from schools. Chief Bernabe also has prior experience in both the corporate and hotel security industries. Chief Bernabe was honorably discharged from the United States Marine Corps having served as a non-commissioned officer at U.S. Naval Station, Rota Spain Marine Barracks Security Detachment. He earned an associate degree in public administration from Hostos Community College (2001) and a bachelor's degree in security management from John Jay College of Criminal Justice. He is currently enrolled in the Security Protection Graduate program at John Jay College. He is also enrolled in the Certified Protection Professional program at John Jay College which, upon successful completion, leads to national certification as a security expert. Chief Bernabe is a graduate of the Prestigious F.B.I. National Police Academy program at the F.B.I. Academy in Quantico, Virginia. He also maintains certifications as a New York State General Police Topics instructor, NYS Police Instructor Evaluator, NYS Police Mental Health Instructor, NYS Police Domestic Violence Instructor and NYS Security Guard Instructor. He is a resident of NYC. Mr. Bermudez is fluent in English/Spanish and has a certificate in Fitness and Nutrition as well as A+ Certified Professional in PCs. His fields of expertise are people with disabilities, the blind, wheelchair bound, motor skills challenged, diabetes and obesity. Ms. Bonilla spent her childhood in New York City and moved to Puerto Rico as a teenager. She dropped out of high school at the age of 17 after becoming pregnant. Having a daughter diagnosed with multiple disabilities, Ms. Bonilla did not think it possible for her to attend school. She later returned to New York City. Though she encountered numerous obstacles, including going through the shelter system, she went on to secure an apartment, find her soul mate and have her second child. Ms. Bonilla received her GED with the assistance of Grace Outreach; a community based organization, and applied to Hostos Community College. She participated in Hostos’ Accelerated Studies Program (ASAP), which is designed to graduate 50% of students within three years. Ms. Bonilla received honorary mentions from Kaplan University as well as scholarships from Wachovia, Home Depot and the New York City Housing Authority. 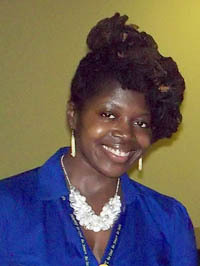 She received an award for her work as a peer tutor and was inducted into Phi Theta Kappa International Honors Society. After graduating from Hostos, Ms. Bonilla transferred to John Jay College of Criminal Justice. She is pursuing a B.A. in public administration with a concentration in managerial oversight and investigations, and a minor in psychology. Ms. Bonilla has been accepted into a peer counseling program for the upcoming semesters and has gained valuable experience through her work study assignment in John Jay’s payroll department. Back to top MIRKEYA CAPELLÁN, PH.D.
Dr. Mirkeya Capellán is Information Technology (IT) Manager at Sogeti USA, a leading IT firm with headquarters in France. During her 14 years in the industry, Dr. Capellán has worked in Internet development, graphic design, and quality assurance testing. She was recently appointed Delivery Manager and Corporate Social Responsibility leader for Sogeti’s New York regional office. Dr. Capellán is IT Quality Assurance Test Engineer/Project Manager, coordinating and conducting enterprise testing at a leading automotive company. She is also an adjunct professor at Pace University, where she teaches undergraduate courses in computing. 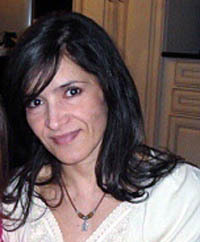 Her research interests include agile software development, teaching methods, and testing techniques. 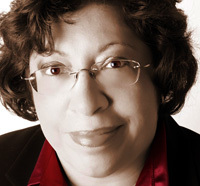 Dr. Capellán is an active member of professional groups including: Latinas in Computing (LiC), Society of Hispanic Professional Engineers (SHPE), Software Test and Performance, and Systems. She utilizes her blog and social networking websites such as Facebook, Google+, and Twitter to share technological, educational, and career-related information. Dr. Capellán is a frequent guest speaker at professional conferences fostering leadership and professional development among minorities in science and technology. She also serves as a mentor at the College of Mount Saint Vincent and has conducted various workshops encouraging young women to pursue careers in technology. Dr. Capellán has appeared on local and international (CNN en Español) programs. She was featured together with several other successful college graduates in a New York Times article about Dominican immigrants and higher education in New York City. Allen Castaneda, a Hostos Community College graduate, is currently studying at The City College of New York, pursuing a degree in mathematics and education. 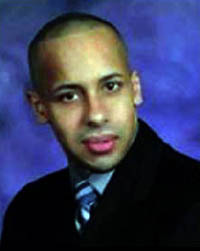 While at Hostos, Allen was twice elected Student Government Association President (7/1/08 – 6/30/09 & 7/1/10 – 6/30/11) by his fellow students. One of Allen’s passions is serving as a student leader. He strongly believes that students can make a real difference and help each other in times of need. Prior to attending Hostos Community College, Allen owned a real estate venture capitalist business, purchasing properties for investments. 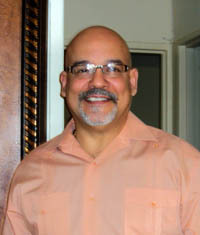 Background: Mr. Colón Garcia was born and raised in Ponce, Puerto Rico. He is a graduate of the Juan Morel Campos Music School where he learned to play the clarinet and steel band. He came to New York in 1972 and attended Morris High School, where he received his GED in 1977. 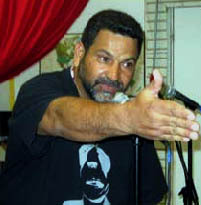 He is a poet that converts his poetry into Afro Puerto Rican songs of Bomba and Plena. He obtained an associate degree in liberal arts from Hostos Community College in 1984. Mr. Colón Garcia began working at Lincoln Hospital in 1985 as a mental health assistant, serving as an interpreter for Spanish speaking clients in group therapy. While at Lincoln, his interest in social work was peaked and nourished by other social work professionals. He overcame many obstacles, including learning English, to achieve his educational, professional and personal goals. He graduated from Adelphi University in 1990 and went to work as an alcohol and substance abuse case worker at Metropolitan Hospital. In 1997 he graduated from the Hunter College School of Social Work with an M.S.W. 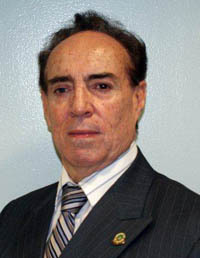 Mr. Colón Garcia has worked with the NYC Health and Hospital Corporation for 27 years. Currently, he works at Jacobi Hospital and is an expert in mental illness, alcoholism, substance abuse, and play therapy with children. 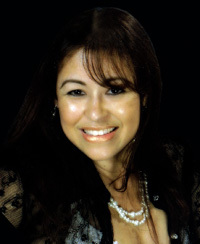 Sandra Castellanos practiced dentistry for 13 years in her native country of Colombia. She graduated from HCC’s Dental Hygiene program in 2007 and holds a master’s degree in health education and promotion from Lehman College. 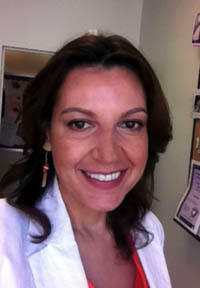 Ms. Castellanos is an assistant professor at the Dental Hygiene unit of Hostos Community College. Her broad area of interest is community health programs. At age 9, Michelle Cruz decided that she would one day run her own business. While viewing a television program that featured some of New York City's blighted areas, an image flashed on the screen of her East Harlem neighborhood. "I realized I was poor," Ms. Cruz said. But she was determined to change her circumstances. She studied accounting and pursued a banking career while nurturing her dream to one day own her own restaurant. 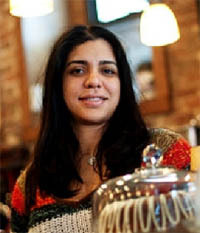 In 2008, her dream came true when she opened the East Harlem Cafe at E. 104th Street and Lexington Avenue. The cafe has become a community hub to see local musicians, artists and authors. A second cafe will be housed in the Caribbean Cultural Center when it relocates in 2012. Ms. Cruz is a graduate of the Goldman Sachs 10,000 Small Businesses program. She credits the program with assisting her with issues she had overlooked when getting her business off the ground. A class in operations led her to establish systems for hiring, training and promoting employees. Eric Lindberg, who works in credit risk management at Goldman who read Cruz's business plan, got her thinking when he asked if she had a contingency plan in case of an emergency. A coach from LaGuardia Community College helped her review her financials to find ways to free up money for marketing. Cruz then approached her lenders and explained that loosening her loan terms would help her boost sales. They agreed. She grew personally from these experiences as well. Though Ms. Cruz had been uncomfortable with public speaking, she gained confidence and poise in making presentations. On graduation day, she spoke with ease to Goldman CEO Lloyd Blankfein – and even gave him one of East Harlem Café’s famous guava corn muffins. Carlos Cuevas graduated from Hostos Community College with an associate degree in liberal arts and sciences. He is certified as a security guard through the 1st Security Preparation & Placement School, completing his training in 2007. Mr. Cuevas is a security expert on personal security and property. He is currently a security officer for Summit Security Services, which provides high-profile security presence for its clients. He is skilled in monitoring video surveillance and working with law enforcement to provide appropriate remedies and action. Mr. Cuevas has also worked for Estee Lauder, FedEx and D’agostino Supermarkets in various capacities. Robinson DeJesus is responsible for driving TeamMate’s business development and sales in Central America, the Caribbean and South America. He is responsible for building and maintaining customer relationships with the audit departments of corporations, public offices, and non-profit organizations. Mr. DeJesus also oversees relationships with business partners that provide TeamMate technology to their regional clients. He has extensive industry knowledge and experience that he shares with customers and partners. For the past three years, Mr. DeJesus has provided training and consulting expertise to TeamMate. TeamMate is the world’s most widely-used audit management system. More than 85,000 auditors across the world rely on TeamMate to improve the audit process, including risk assessment, scheduling, planning, execution, review, report generation, trend analysis, committee reporting and storage. He previously worked at Merrill Lynch. He was responsible for executing a firm-wide Sarbanes-Oxley (SOX) program for the Technology, Bank and Global Wealth Management groups and also served as a key point of contact for external auditors. Prior to that role, he served as a corporate auditor for Moody’s and Altria Corporate Services. Earlier in his career he worked as a data analyst for the New York City Environmental Protection (NYC DEP). 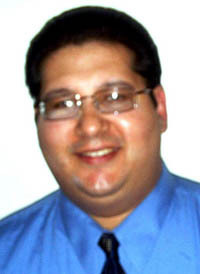 Mr. DeJesus, who is proficient in Spanish and English, earned a Bachelor of Business Administration in Computer Information Systems from Baruch College and an associate degree in liberal arts from Hostos Community College. Sarah Delany was one of four children raised by her widowed mother, a CUNY graduate and a third grade teacher. Ms. Delaney left Brooklyn Tech High School in her senior year and obtained her GED two years later. Fourteen years later, she enrolled in an emergency medical technician training program, graduating as valedictorian. In 2011 she earned an Associate of Arts and Sciences in Nursing from Hostos. Sarah is now pursuing her bachelor’s degree at Lehman College. As a nurse she is concerned about obesity, diabetes and HIV in under-served populations. She interns with the American Diabetes Association. Sarah is intent on giving back and is active in her church, school, and community. Sarah was a member of numerous Hostos leadership groups as well as the NAACP National Action Network, and Hispanic and Minority Nurses. She served as student government vice president for Academic Affairs from 2009-2010 and was elected nursing class president in 2011. She has participated in the Hispanic Associations of Colleges & Universities (HACU) Conference and the Black and Puerto Rican Conference. In 2010, she organized a panel discussion for Black History Month that included CUNY Vice Chair Phillip Berry, Councilwoman Helen Foster and other local activists. Joelle Gonzalez‐Laguer was born and raised in Isabela, Puerto Rico. His artistic inclination became evident at the age of 15 when he wrote and directed a high school play entitled “Las chicas del pan,” based on the universal necessity of food for human survival. After high school, he moved to New York to pursue higher education. He holds a Master of Fine Art in Film and Media Production from the City University of New York. Professor Gonzalez taught film and media at Hunter College for eight years and served as the internship advisor for two years. He taught Introduction to Sociology at Hostos Community College, where he utilized films to better understand sociology and designed classes specifically for non‐English speakers. During his tenure at CUNY, he was awarded three educational development grants that allowed him to live abroad, once in Argentina and twice in Cuba. For several years he has served as a moderator and host for the Havana Film Festival in NY. He was the media director for the Center of Puerto Rican Studies NYC until 2011. He wrote and directed several shorts, “Adios Christopher”, (fiction 8 min) “Boricua en 3 Ritmos” and “Guys, Gays and Gratification”(short documentaries). Gonzalez’s documentary, “Revolt through Letters, the Clemente Soto Velez Story”, premiered in November 2011 in NY and is being distributed. He is currently editing “La Guagua Aerea, de aqui y de alla” a documentary that highlights the permanent exhibition made by Antonio Martorell at El Museo del Barrio in NY. Ray Hughie was born in NYC, raised in El Barrio, and graduated from the High School of Fashion Industries in 1976. He earned a B.S. in home economics from Hunter College in 1984. He returned to school and completed a second degree in nursing, and his life changed thanks to Hostos Community College. Mr. Hughie received an A.A.S. degree in nursing, trained at Lincoln Hospital, and upon graduation in 1995 received his first full time job as a nursing supervisor working with AIDS patients at the HighBridge Woodycrest Center. Mr. Hughie was compelled to work with these patients, who he felt were too often feared by others. He ventured back to school and graduated from St. Francis College in 2009 with a Bachelor of Science in nursing. 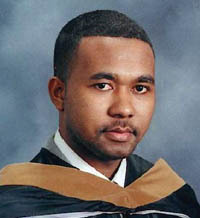 Mr. Hughie is currently enrolled as a graduate student at St. Joseph College pursuing a M.S.N. in nursing education. He anticipates that he will graduate in May of 2013. Rudilania Hulse is the third of seven children from a family who started their lives in the Dominican Republic. After they lost their mother at an early age, she moved to New York City with her father and her six siblings at the age of 17. 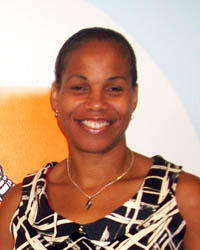 Ms. Hulse spoke very little English when she started her educational journey at Hostos Community College in 1996. 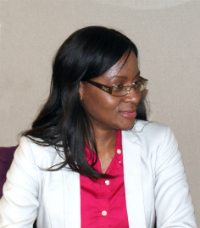 Showing a great deal of determination and persistence, she graduated in 1998 with a degree in public administration. While a student, she participated in the work study program, where she acquired practical skills in the Financial Aid Office and the Office of The Dean of Academic Affairs. As a result of her effort and determination, Ms. Hulse became a formal CUNY staff member, starting her career in the Modern Languages Department and later transferring to the Distance Learning Department. Ms. Hulse also completed an internship at La Casita Program, an organization designed for female who have alcohol and substance abuse problems, which later turned into a professional career as a social worker. In September 1998, Ms. Hulse entered Herbert Lehman College, where she obtained a BA in General Psychology. 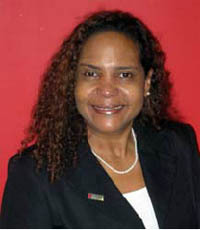 During her time at Hostos and Lehman, she was a member of the Dominican Club. After her time as a social worker, Ms. Hulse became a sales person for Healthfirst Inc. She was a team leader for six years. She carried that experience to another health care company where she became a sales manager. Ms. Hulse currently works as a case manager for the Thorpe Family Residence, helping young females go back to school, find employment and permanent housing. She is a member of the community group, Mirabar Sisters Community Organization, and a member of the PTA for the New Heights Academy Charter School. Gregory Jeffries is a product of the New York City public school system. He graduated from Julia Richman High School and began his college career at Queens College pursing a degree in communications but did not graduate. In 1975, he began working at Columbia Presbyterian Medical Center in housekeeping and in the mail room until 1982. He went on to work at Montefiore Medical Center in the Bronx where he remained for 20 years. Mr. Jeffries took great satisfaction in his role as an 1199 representative, advocating for co-workers rights. In 1994, he enrolled at Hostos Community College and this decision changed his life. He graduated from Hostos with an Associate of Applied Science in gerontology in 1998 and a Bachelor of Science in recreation education from Lehman College in 2002. He managed to obtain both degrees while working full time at Montefiore with the assistance of the 1199 Training and Upgrading Fund. In 2002, he left the hospital to pursue a career in recreation therapy at Jamaica Hospital Trump Pavilion. Mr. Jeffries is currently the recreation therapist at Bronx Psychiatric Center, where he works with mentally challenged and developmentally delayed individuals. He arranges and develops a variety of therapeutic, recreational, counseling, vocational, and substance abuse programs, and provides a safe and therapeutic environment for these individuals. 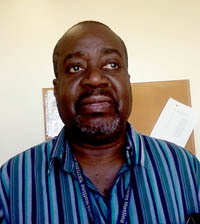 While at Bronx Psychiatric Center, Mr. Jeffries completed his Master of Science and Education in recreation education at Lehman College in 2010. He credits the Public Employee Federation Union with affording him this opportunity. Raised in a small town in Mexico, Maria D. Jimenez immigrated to New York City with many hopes and dreams of creating a better life. After a few years in the city, the desire to continue her education brought her to Hostos Community College, where an extensive curriculum and bilingual classes provided the perfect learning environment for her. At Hostos, Jimenez learned to write and speak English. The ESL classes greatly assisted students by gradually introducing college-level English to the point where students are able to communicate successfully. 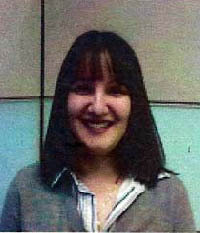 Ms. Jimenez made the Dean’s List in 2001-2002 and graduated in 2004. She’s proudly the first member of her family to earn a college degree. In Fall 2004, she attended Herbert H. Lehman College to complete a BS in Nursing. She completed three semesters before deciding to take time off to concentrate on her art. Soon, she became a healthcare worker and recognizes Hostos for giving her an opportunity to obtain professional success within a demanding bilingual workforce in her community. While taking painting classes as an elective at Hostos, Maria D. Jimenez had no idea that it would become her passion. Art professor Ian Scott was the first to believe in Jimenez’ art. Her portfolios “Virtues” and “Still Life” consist of more than 100 oil on canvas paintings in different dimensions that have participated in 15 art exhibitions. Ms. Jimenez’ work has been displayed in the students’ galleries at Hostos Community College, Lehman College, Public Libraries and Community Centers. Aside from helping those in need, Maria D. Jimenez’ current goal is to participate in community arts festivals while finishing her B.S in nursing. She is currently employed as a healthcare worker who sees balancing her career with her artistic passion very rewarding. Luz Maria Lambert is a multilingual diverse business developer expert, experienced public speaker and entrepreneur. She specializes in enterprising business designs, converting simple ideas into innovative and profitable businesses. Ms. Lambert has a proven track record meeting and exceeding her clients’ expectations in the areas of marketing, organizational design and operations. She has more than 15 years of consulting experience at the national and international level. She has consulted for profit and not for profit companies in Chile, Puerto Rico, Dominican Republic, Colombia, El Salvador, Panama, Haiti and Costa Rica. In addition to her business savvy, Ms. Lambert is also well versed in world cultures, customs and history. She offers training programs related to personal financial management, educating aspiring entrepreneurs on how to develop profitable enterprises. Her dynamism and clear instruction has inspired people of all ages and backgrounds to contemplate converting their expertise and ideas into money making businesses. Ms. Lambert, who began her acting career as an adolescent in her native country of the Dominican Republic, is an award-winning actress. She is the founder of Words & Beyond, a business that focuses on designing personalized wedding ceremonies. She earned a bachelor’s degree from Columbia University’s renowned Political Science Program. She holds a master’s degree from Columbia University School of International Affairs (SIPA) in International Security Policy and Economic Development, and a second master’s degree from Baruch College in Public Affairs, focused on local government and not for profit organizations. She is a proud National Urban Fellow and part of the first cohort of Global Scholars. 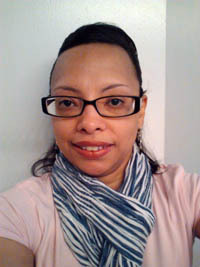 Ms. Lambert is currently an adjunct professor at Hostos Community College in the Humanities Department. Fernando "Ponce" Laspina, a former South Bronx gang leader, turned his life around. A high school dropout, he went on to earn his GED at Elmira Correctional Facility and an associate degree in arts from Hostos Community College in 1980. He earned a Bachelor of Arts from Lehman College in 1982 and a Master of Arts and Science from Buffalo State University in 1985. Ponce has served his community as a youth counselor and program coordinator. As adjunct lecturer of Latin American and Caribbean Studies at Hostos from 1988-2006, he provided youths with insight into their history, heritage, culture and roots so that they have the knowledge to define their future. He has successfully provided his community’s youth with positive pathways to channel their energy into constructive and competitive sports and avoid negative influences. Ponce is currently the Coordinator/Director of the Butler Community Center for the New York City Housing Authority, where he administers enrollment for Summer Youth Camp and the After-School Center and tutors. He founded the Festival Del Grito de Lares, Inc. in 1976. The Festival is a three-day community event that takes place in the summer where residents enjoy guest speakers, music, dancing, live bands, food, and arts and crafts. Ponce volunteers at state correctional facilities, facilitating softball games, live shows and music for the incarcerated. His tireless efforts and commitment sends those serving time a clear message: "There is another way." Martha Laureano, RN is a native Puerto Rican New Yorker. 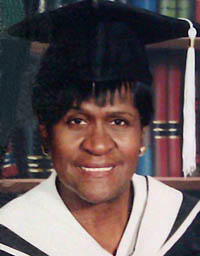 She received her nursing degree from HCC, graduating in the first class of the College’s Nursing Program in the 1970s. She obtained a Bachelor of Arts degree from the City University of New York. A registered nurse, Ms. Laureano has more than 25 years of health care experience, the last 10 of which have involved promotion of community empowerment through health education and self-management. Her nursing specialties were post-operative cardiac care, emergency and intensive care medicine. Formerly the Director of Health Education and Promotion for MetroPlus Health Plan, New York City’s Health and Hospitals Corporation managed care program, Ms. Laureano was instrumental in identifying the health care needs of the MetroPlus membership and in building culturally and linguistically appropriate integrated care management programs and materials to meet those needs. Ms. Laureano served as the Director of Community Relations for the NYU School of Medicine’s Institute for Urban and Global Health. Her responsibilities included developing linkages with community and faith based organizations and community health clinics to inform and educate community leaders and residents about the activities of the Institute to aid individuals in need of health care services. She also participated in the review and translation of informational materials and in focus groups and roundtable discussions with immigrant and other underserved populations. 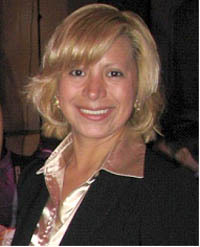 As the Director of Health Education and Promotion for the NYU School of Medicine Institute of Community Health and Research and Coordinator of the Institute’s Center for Latino Health, Ms. Laureano was responsible for planning the annual Latino Health Conference, the largest East Coast conference on the health of Latinos. She was also responsible for the development of the National Conference on the Mental Health of Latinos. Ms. Laureano also dedicated her time to provide leadership and hands-on promotion of the Latino Treatment Program (LTP) in Bellevue Hospital Center through the coordination of partner participatory outreach, culturally relevant education and training activities for providers, consumers and families with the assistance of community based organizations, media, and other concerned stakeholders. In January of 2009, Ms. Laureano was recruited by El Puente to head its Community Health and Environment (CHE) Institute as director. This initiative launched the creation of an adolescent and family wellness center, the development of a one year high school wellness curriculum, engaging adolescents in its design and operation. The emphasis on a total fitness/wellness approach will drive a concerted effort to stop an epidemic of obesity and diabetes; the rising number of HIV/AIDS cases; and environmentally exacerbated asthma in the North Brooklyn community. As CHE Director, Ms. Laureano is responsible for creating and sustaining the work plan, partnership and fund raising necessary to establish the El Puente Wellness Center, including the direction of El Puente’s environmental justice/green initiatives. She has oversight and responsibility for the restructuring, organization, revitalization and programmatic integration of El Puente’s community garden space, Espiritu Tierra, which includes the development of a water source with rain barrels to cultivate some of the medicinal herbs and plants to be used in the wellness center as well as the recruitment, training, and organizing of youth and adult volunteers to carry out and maintain the garden’s structure and continued development. Jubril Aderoju Lawal (Class of 2012) is the second of seven children. He was born in the United States but raised in Nigeria where he attended primary and secondary school. Growing up in Nigeria was a challenge. Frequent power outages and economic strife made every day and adventure and with this in perspective, Jubril was overjoyed to find out he was returning to the United States where he knew there would be more opportunity..
From a very early age, Lawal understood that education would be the key to his success. After arriving in New York City, he found the City University of New York to be the perfect fit for him and once accepted to the Radiology Technology program, Jubril enrolled at Hostos and began the next chapter in his life. Soon, he realized that he wanted even more out of his education and took up a second degree with a major in biology. As an honors student, he also participated in several programs such as the Leadership Academy, the Alliance for Minority Program (Project STEM); and was a member of Phi Theta Kappa, a society created for the stimulation of interest in continuing academic excellence. He also was elected the President of the Environmental Club and founded the Biological Science Club. After graduating from Hostos, Jubril worked as a radiologist at St. Barnabas Hospital, which aided him in winning an award from the Association of Hispanic Healthcare Executive and was one of only three recipients nationwide. He currently is working on a comprehensive approach on increasing the transfer rate of students from two-year colleges like Hostos into four-year institutions like Tufts University with another Hostos Alum (also attending Tufts now) and a Business Administration student in California. Jubril also works part-time as a biology and chemistry tutor for the HALC for CSTEP as well as for general STEM students. 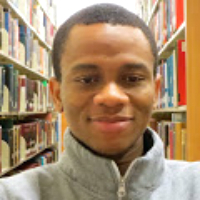 With a lifelong plan to become a medical doctor, Jubril A. Lawal was awarded a scholarship by Tufts University, where he earned a bachelor’s of science degree. Currently Mr. Lawal is studying for the MCAT while also working as a Radiology Technologist at Memorial Sloan Kettering Cancer Center. Mr. Martinez came to New York City seven years ago and immediately began pursuing his higher education full time. In 2003, he attended English as a Second Language (ESL) programs at different organizations and colleges of the City University of New York (CUNY) to master the English language for academic purposes. At Hostos Community College (CUNY), he earned an associate degree in applied science with an emphasis in public administration to develop expertise about American society, government, social structure, and higher education. He graduated from John Jay College of Criminal Justice (CUNY) in the fall of 2005 and earned a M.P.A. 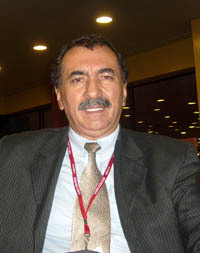 in public administration with emphasis in human resources in 2006. He also received a Master of Science in protection management with emphasis in Emergency Management in 2008. 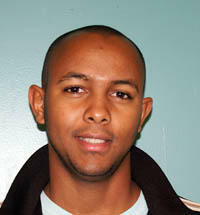 He expects to graduate with a second bachelor’s degree in geology from York College (CUNY) in September 2012. For the last 32 years, Mr. Martinez’s passion, fascination and fields of expertise have been geology, politics, public administration and risk analysis. He wants to build a bridge between his science and political/administrative knowledge in order to protect people in need, women and children in particular. Mr. Martinez has been a geologist since 1978, with academic specialization and experience in ground water supplies. For 25 years he worked in various regions of Colombia. He was a university professor, teaching subjects such as general geology and geophysics. He decreased his field activities in geology because of the internal conflict and terrible violence in Colombia, and came to the United States. While working as a geologist in Colombia, he attended classes in a political studies master’s program in order to increase his knowledge of government, public policy, democracy, constitution, and social issues relating to Colombia and the world. He ran for the Senate of the Republic of Colombia in order to develop and implement natural resources policy, water law, human trafficking protection, and more. He found that the Colombian government, scientists, and the people of Colombia were disconnected on issues regarding natural resources, their protection, rationalization, and potential use. Mr. Martinez was president of the Board of Directors of the Geologists of the National University Association, and president of the Board of Directors of the Colombian Association of Consultants in Geology. He is a member of the Colombian Geological Society, the Geological Society of America, the National Ground Water Association, and the American Association of Petroleum Geologists. 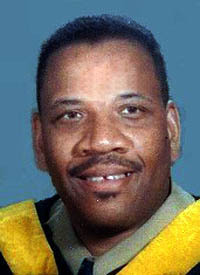 Terrance A. McSween was born in New York but raised mostly in California. He specialized in playing both Basketball and Football until he tore his ACL, which left him unable to play. Despite this tragedy, his interest in learning more about his injury brought about what would become a life-long interest in sports medicine. After returning to New York City in 2008, McSween enrolled at Hostos Community College where he eventually majored in Radiologic Technology. He maintained a 3.8 grade point average as an honors student. He was elected Vice President of the Student Government and was President of the Black Student Union as well as a member of Phi Theta Kappa. While a student at Hostos, Terrance had a number of struggles he had to deal with both in and out of school. The faculty at Hostos Community College provided him with great help, particularly from the mentorship of Dr. Weldon Williams. Terrance A. McSween was awarded the Martin Luther King Scholarship, the Circle of 100 Scholarship, as well as the American Society of Radiologic Technologists Scholarship Award for Excellence, where Hostos Community College was also awarded money as a result of the ASRT Award. One of last the great achievements McSween provided for Hostos was his paving the way to earn funding for the creation of the Digital Music Program. In 2012, Terrance A. McSween graduated with honors from Hostos Community College with an Associates of Applied Science in Radiologic Science. He immediately enrolled at Lehman College where he is completing his requirements for a Bachelor’s in Health Service Administration. He plans on earning a Master’s degree, and doctorate in hopes of returning to Hostos Community College to teach as a professor. 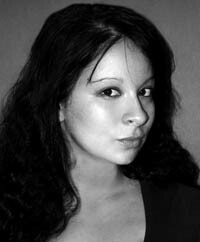 Ms. Mendoza-Cantos holds an associate degree in arts with a major in biology from Hostos Community College, CUNY, a bachelor's degree in psychology from Hunter College, CUNY, a master's degree in public affairs and administration from The Metropolitan College of New York, and a Certificate in Professional Table Manners from The Charleston School of Protocol and Etiquette. Ms. Mendoza-Cantos attended the Mundo Hispano Modeling School and D'Ante Modeling Studio for photography and image classes. In 1988, while attending college, she worked as assistant director in a modeling agency, where she noticed that many clients lacked the knowledge of social manners. In 1990 she opened Paola's Modeling School, a place where girls learned modeling skills as well as etiquette. Soon the School's etiquette component became its hallmark. In 2004, she closed Paola's Modeling School and opened Always Gracious - The Academy of Etiquette & Charm, an institution dedicated exclusively to the teachings of good manners and proper social behavior. Always Gracious os the first bilingual (Spanish/English) school of etiquette and image on Long Island. Her expertise in mental health and etiquette turned Ms. Medoza-Cantos into a strong advocate of integrating cultural etiquette as a therapeutic tool in mental health care. She firmly believes that when health providers use cultural etiquette to connect with their hard-to-reach patients the result is very positive. She worked as an adjunct professor in the Continuing Education Departments of Queens College, Hostos Community College, Queensborough Community College and Medgar Evers College teaching etiquette and protocol classes to children and adults. Ms. Medoza-Cantos has also worked in the area of mental health as a Spanish translator and English tutor for children at the Psychiatric Department of Elmhurst Hospital, and as a therapist at FEGS Adults Continuing Day Treatment Program. Ms. Mendoza-Cantos is a sought after speaker and panelist in the fields of cultural diversity, cultural competency, social etiquette and disparity in mental health services. She has hosted etiquette segments in the following TV programs: "Centroamerica Nuestra" channels 44, 54 and 38, "La Vida Latina" (Telecare, Long Island), "Las Comadres con Gloria B" (Telemundo), and "Viva la Vida" (TELEPAZ, Canal Sur, Miami, FL). 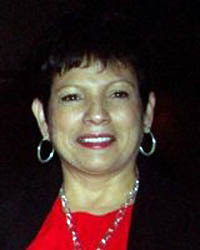 Ms. Mendoza-Cantos is a member of Mothers of Malverne (MOMS); The Holistic Moms of South Nassau; the Multi-Cultural Advisory Committee for the Office of Mental Health Bureau of Cultural Competence; the Association of Hispanic Mental Health Professionals (AHMHP); and Strathmore's “Who’s Who” 2002-2003 edition. She collaborates with Learning for Life National Organization to provide etiquette workshops to public schools in Suffolk. Sr. Director, Morgan Stanley Co., Inc.
Milagros Morales, born in the South Bronx, moved to Puerto Rico during her freshman year of high school in the summer of 1979. What initially started as a family summer vacation ended up being the place they called home for the next few years. She graduated from high school and attended college for three semesters in Puerto Rico, but was unable to complete her studies due to financial challenges. She postponed her college dream and went to work. In 1985, Ms. Morales returned to NYC and was hired by an investment banking firm. Though she found her work rewarding, she still wanted to obtain a college degree. Ms. Morales enrolled at Hostos, earned stellar grades, and became a member of the Phi Theta Kappa honor society. She graduated in June 1996 with an A.S. in business administration and a 4.0 GPA. Her career with Morgan Stanley & Co. spanned 26 years. She credits the company’s tuition reimbursement program, as well as additional courses provided at the Institute of Finance and Financial Industry, Technology, Management and Leadership and Project Management, for her success. Ms. Morales, who started as a clerk with Morgan Stanley, went on to become a senior director, managing a global team which included New York, Baltimore and Mumbai. Today she looks forward to new and challenging opportunities and to sharing her professional and personal experiences to mentor and be a role model for the next generation. Christiana Nyanteh’s family immigrated to the United States from West Africa. She and her sister were raised by their single mother, who struggled to raise them. Ms. Nyanteh is the first member of her family to attend college. She overcame many obstacles and personal hardships to achieve her goals. At Hostos, she explored realms of education that she never knew existed, but which influenced her career path to help others. Ms. Nyanteh credits Hostos Community College for her academic and personal growth and for never giving up on her. 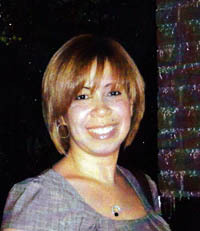 Luz Pagan was born and raised in Cataño, Puerto Rico. At the age of 20 due to a family tragedy, she moved to NYC with the hope of building a promising future in the criminal justice field. Ms. Pagan enrolled at Hostos and dedicated herself to learning English. In 2005 she obtained her associate degree in arts. She credits the support she received at Hostos Community College for her success. 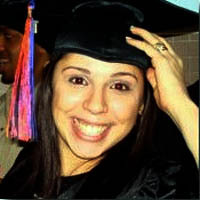 Ms. Pagan’s desire to advocate for less fortunate individuals led her to earn a bachelor’s degree in forensic psychology and a master’s degree in criminal justice with a concentration in Investigation Techniques from John Jay College of Criminal Justice. She looks forward to beginning her LSAT preparation at NYU. Ms. Pagan has worked for Hostos Community College for more than eight years in various capacities. She is currently the Coordinator for the Evening & Weekend Program and assists the Dean of Students as a judicial officer and students advocate. She previously held a position as a career field experience advisor for the HHC Career Services Office for three years. 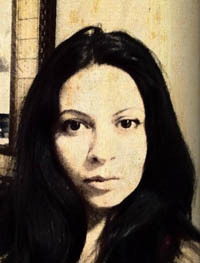 Rocio Rayo is interested in the historical and political aspects of the relationship between the United States and Latin America, particularly in Central America. Rocio graduated from high school in 2000 and began working as a runner for a criminal defense attorney. She worked her way up to become a paralegal, but realized that without a college degree further professional growth opportunities would be unlikely. Rocio enrolled at Hostos Community College in the fall of 2009, and recognized the valuable role that community colleges play in making higher education available to the poor, the working class, and people of color. She works at Hostos as a writing tutor. Rocio is the proud mother of Amir, her six year old son. She persistently strives to find ways to manage her educational, political, professional, and family life. Rocio is an organizer with a coalition of students from various CUNY campuses called "Students United For A Free CUNY." Rocio transferred to City College in the fall of 2011. After graduating from City College, she plans to pursue her doctoral degree in history. Rocio is a City College Fellow, and received the Kaye Scholarship and the Weston Scholarship. She was given an award for academic excellence from the political science department in spring of 2012. Her goal is to become a professor, researcher, writer, and to ultimately teach at the college level. Jasmin Rivera is a Global Scholar alumna who is currently completing her master’s degree requirements at Columbia University’s School of International and Public Affairs. She credits the support and opportunities she received at Hostos for shaping who she is today. Her experiences as a Hostos student and alumna have provided her with a greater understanding of her culture and heritage. Ms. Rivera notes that many of the people she met at Hostos have been an immense source of inspiration for her art work and exhibitions. Field of Expertise: Cultural, Business, Technology – web marketing, publishing, media, social media strategist; Entertainment - published poet and writer. Ms. Russo is a published poet, writer, and social media strategist who enjoys scouting the ever-changing web landscape to perfect her professional skills. A native New Yorker born to Puerto Rican and Sicilian parents in Spanish Harlem's El Barrio, she is a graduate of Hunter College, CUNY. She holds degrees in anthropology and liberal arts and sciences. During her formative years at Manhattan Center for Science and Mathematics, she was selected to study as a Junior Scholar at Columbia University. Ms. Russo formerly worked at Hachette Book Group. She has worked and written for WebWorkerDaily.com, AOL, Bloggingstocks.com, NY Resident Mag., Thomson Reuters, the NYC Department of Education, the 92nd Street Y, Papierdoll, and The General Theological Seminary. She is currently senior social media strategist for The Institute for International Research (IIR). Her poetry was published in “Regrets Only: Contemporary Poets on the Theme of Regret”, edited by Martha Manno. Ms. Russo is now working on her debut novel. 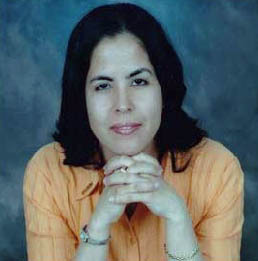 Nancy I. Delgado was born in Rio Piedras, Puerto Rico. 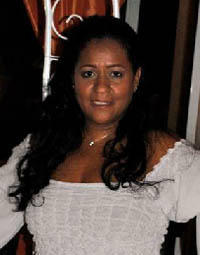 She graduated from Hostos in 1994 and became senior administrative assistant at the Avon Foundation in 2007. The Avon Foundation was created in 1955 to “improve the lives of women.” Since then, Avon has raised and awarded more than $560 million worldwide, with more than $490 million dedicated to its Breast Cancer Crusade. Nancy is responsible for managing and maintaining the Foundation’s grant distributions, ensuring that they are accurately tracked and paid in a timely manner. She also coordinates an annual budget for charitable contributions which sponsor the recognition of events and benefit dinners. In addition, she coordinates the Foundation’s scholarship and matching gift programs. Prior to joining Avon, Nancy served as executive assistant of the Special Events and Major Gifts Department of the National Multiple Sclerosis Society’s New York City Chapter. She began her work at the Society as a temp and quickly excelled and was promoted to administrative assistant and then to executive assistant. She worked for the Society for 12 years. Alethia L. Smith (was born and raised in Harlem, New York. She has overcome numerous hardships in her life from a very young age. While raising her child as a single parent, she lost her job and was unable to find new work, which subsequently forced her to move into a homeless shelter. When her daughter entered kindergarten in 2009, Ms. Smith enrolled in Hostos Community College and obtained an Associates of Applied Science in Office Technology. Shortly after graduation, she registered at Lehman College where she is currently looking to gain a B.S. in Health Service Administration by the end of 2016. Alethia completed an internship in the COPE Office during her last year at Hostos Community College. She was then offered a position in the Alumni Relations Office as a College Assistant where she helps students, faculty, and community with everything from applying for scholarships to obtaining an Alumni ID card. The position has provided an excellent opportunity for her to pursue her career goals while being a student. 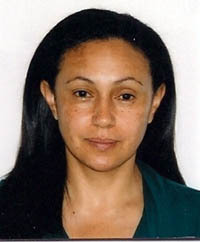 Norma Sooko was born and raised in Guyana, South America and grew up learning how to run her family business. She immigrated to the United States in 1987 and has been an active member of the Walker Memorial Baptist Church for 22 years. She received the Dr. Ivor Moore Humanitarian Award in honor and recognition of her exceptional service to her church community. Ms. Sooko has overcome many obstacles and struggles and keeps positive with God always present in her life. She was a single mother dedicated to providing for her child. When she lost her only son, she was determined to make a difference in her life. She went back to school and received her GED from the Grace Institute Outreach in 2003. She began her college career at Hostos in 2006. She was an ambassador of the Leadership Academy and a member of Phi Theta Kappa honor society, which awarded her a scholarship. Ms. Sooko earned her A.A. in liberal arts in 2009 and a B.S. in social studies education from NYU in 2011. She is currently pursuing her master’s degree in educational theatre at NYU. Saudy Tejada was born in Manhattan and raised in Woodside, Queens by a single mother who had migrated to the United States from the countryside of the Dominican Republic. 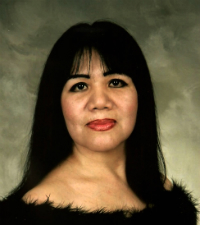 As a first generation American, Ms. Tejada struggled to assimilate to a place and culture unknown to her mother. Her mother encouraged her to join numerous extra‐curricular activities that served as a positive reinforcement in her development. Although her mother did not speak English, when Ms. Tejada struggled with a homework assignment, she remembers her mom hauling her to knock on neighbors’ apartments for acts of in‐kind tutoring. Despite her mother’s progressing illness and inability to work, she instilled in Ms. Tejada the value of an education and hard work. During Ms. Tejada’s high school years, her mother passed away, a tough period in her life that took a toll on her grades. After graduating from high school, she took a short break from school and quickly realized that she had to honor her mother by furthering her education and building a better life. Ms. Tejada moved to the Bronx and attended Hostos Community College, a welcoming place that granted her a second chance. Ms. Tejada maintained a 4.0 GPA and was selected to participate in the Global Scholars program, formally known as the Serrano Scholars. The program awarded her numerous cultural experiences including study‐abroad trips, two to Italy and one to the Dominican Republic. In 2004, Ms. Tejada was selected to introduce Bill Clinton during his visit to the College, where he encouraged students to be politically active and exercise their right to vote. After graduating from Hostos, she completed her B.A. in history from Fordham University. She received a master’s degree at The New School Milano with a concentration in non‐profit organization management, the first member of her family to earn a master’s degree. Millie E. Thaw, RDH is continually working to make a difference in her community and profession. She has been published in RDH Magazine and profiled in both Access and RDH. She collaborated with Margaret Ferhenbach in “The Local Times” for local anesthesia. 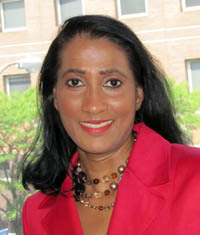 She is an active member and past editor of the TIMES for the American Academy of Dental Hygiene, former vice president of Professional Development for Dental Hygienists’ Association of the State of New York, a governing council member of the American Dental Hygienists’ Association, and a board member of the Dental Hygienists’ Association of the City of New York. Since graduating from Hostos Community College, Millie has worked diligently to keep her knowledge of dental trends current. Ms. Echevearria-Thaw is the 2007 recipient of the Sunstar America/RDH Magazine Healthy Gums, Healthy Life Award of Distinction. She is currently enrolled in the Bachelor’s of Dental Hygiene program at Farmingdale State College and works as a dental hygienist at both Michael Shreck, D.M.D. and Paul Hoffman, D.D.S. She is also the northeast liaison for Jane Weiner RDH National Board Review, Inc., in Tamarac, Florida. 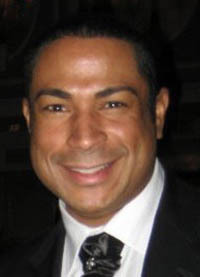 Luis Eladio Torres was born to Puerto Rican parents in the Bronx in 1970. He attended public school and graduated from Stevenson High School. Following graduation, he served in the United States Navy during Operation Desert Storm. Upon returning home, he enrolled at Hostos Community College and obtained his associate degree in science. Mr. Torres also earned a bachelor’s degree from City College and a master’s degree in educational technology from Mercy College. He also holds a professional certificate from Hunter College in the field of administration. For over 10 years, Mr. Torres has been an advocate of equal opportunities for the residents of the Bronx. He has assisted people in job placement, immigration issues, health, and enrollment in college. He is a strong believer that every person is entitled to the best education possible. 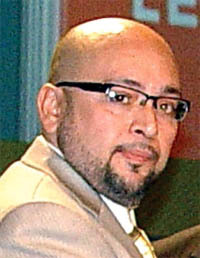 In 2005, Mr. Torres was named the principal of P.S. 55 in the Bronx. Mr. Torres is married to Joan Torres, a Hostos alumna. They have two children, Isaiac and Autum. He is a member of the National Conference of Puerto Rican Women and also assisted the Hostos Alumni Relations Office. Mayra E. Torres is a seasoned non-profit administrator with experience in budgeting, marketing, desktop/web publishing and editing. She is an expert in non-profit management and fundraising and development. Ms. Torres has served as the assistant director for development, media and external relations at Centro since 1992. Prior to this position, she was a research assistant for Centro. Ms. Torres taught English as a second language at the Uceda English Institute in Queens, NY. She has worked for the United Neighborhood Houses, managing after school programs for the organization. She was public relations and marketing coordinator for Orion International Corporation in Miami, Florida. Ms. Torres is a graduate of the prestigious Robert J. Milano Graduate School of Management and Urban Policy where she received her master’s degree in non-profit management/fundraising in 2004. She earned her B.A. in communications from Hunter College, CUNY, in 1993 and A.A. in liberal arts from Hostos Community College. Born in Puerto Rico, Nelson Torres migrated to New York with his family in 1988. He earned an A.A. in liberal arts from Hostos Community College and then a B.A. in sociology from Lehman College. Mr. Torres became a case manager with the Citizen’s Advice Bureau, working in homelessness prevention and later in prevention services for children. After working with street workers and members of the LBGT communities, he began to work for the Hispanic AIDS Forum. Mr. Torres also helps young Latinos who are ostracized by their families for their sexual orientation. “There is a lot of hate crime and homophobia in the Bronx and we need to celebrate our borough's diversity so that everyone can feel included," Mr. Torres at the award ceremony. Back to top VAN C. TRAN, PH.D.
Dr. Van C. Tran is a sociologist whose research broadly focuses on the socioeconomic, civic and political incorporation of post-1965 immigrants and their children, and its implications for the future of ethnic and racial inequality in the U.S.
His academic focus is immigration, race and ethnic relations, neighborhoods and communities, class and culture, civic and political participation, social inequality and public policy. These concentrations originate both from his personal experience as a political refugee and his academic interest in understanding the major demographic, political and social transformations of American society as a result of post-1965 immigration. 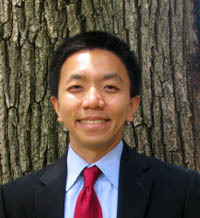 Dr. Tran received his Ph.D. in Sociology and Social Policy from Harvard University in 2011. He is a Robert Wood Johnson Foundation Health and Society Scholar at the University of Pennsylvania, where he conducts research on neighborhood healthcare resources and community health. 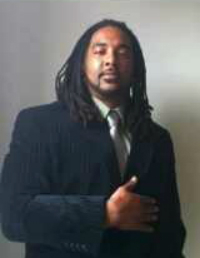 He will begin as an Assistant Professor of Sociology at Columbia University in fall 2013. Back to top VICTOR VÁZQUEZ, PH.D.
Dr. Victor Vázquez inspires college students with the following: “I went from a GED to a Ph.D.” Dr. Vázquez has spent the past 25 years pursuing his educational goals and serving his community. After obtaining a GED while serving in the U.S. Air Force during the Vietnam War, he enrolled in Hostos in 1975 while working for the U.S. Postal Service. He graduated from Hostos in 1978 with an associate degree in liberal arts. For the past 13 years, he worked for the prestigious Temple University in Philadelphia. He served as Special Assistant to the Vice President for Administration, taught Latin American studies, and was an adviser and mentor to the Latino Student Association. 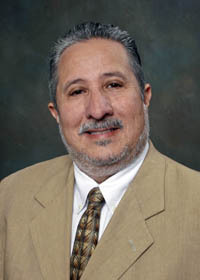 In 2002, Dr. Vázquez received a Ph.D. in history from Temple University. That same year he was also named “Professional of the Year” by the Council of Spanish-Speaking Organizations. He is currently an associate professor at Miami-Dade College. Back to top JOHNNIE H. WILLIAMS JR.
Johnnie H. Williams Jr. (Class of 1997) was born and raised in New York City. After graduating from Ben Franklin High School, Williams was soon drafted to fight in Vietnam where he served with the 199th Light Infantry Unit. He is a survivor of the 1968 Tet Offensive and is proud to be a veteran of the United States Army. As far back as High School, Williams was always interested in music, theater, and computer science. Years after returning home from the war, he maintained the same interests and found Hostos Community College to be the perfect fit for him to further his education when he enrolled in 1995. As a student, he had book signing events for two of the books he authored while being active in many clubs and extracurricular activities. He served on the Board for Student Rights. He was also President of the New Computer Club and was instrumental in getting the college online during the 1990’s. Williams has a long history of helping veterans find help for dealing with Post Traumatic Stress Disorder. 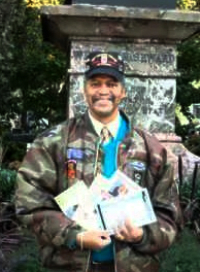 After earning his Associate’s degree from Hostos in 1997, Johnnie H. Williams Jr. went on to author two more books while founding The Way for Veterans Contracting Company LLC. The organization specializes in helping Veterans find employment in addition to providing career services as well as a variety of adult education classes.